ALCOA, Tenn. (WATE) - The family has identified the 6 victims of a deadly house fire in Alcoa Sunday morning on North Wright Road. There were four adults and two children who died in the fire. 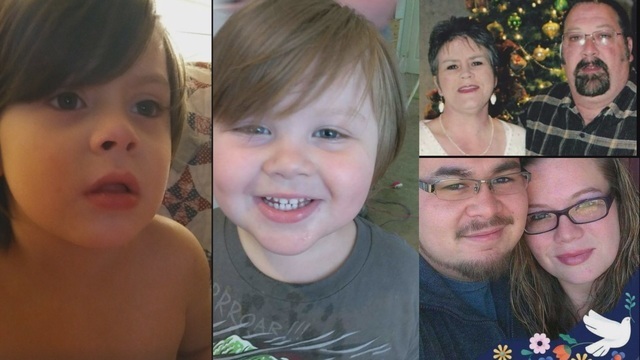 Family of the victims have identified those who died in the fire as Patricia Mishoe, Raymond Mishoe, Olivia Mishoe, David Morgan, 6-year-old Aiden Morgan and 5-year-old Jaxsen Morgan. Chief Robinson with the Alcoa Fire Department says that the call reporting a house fire on North Wright Road came in at 5:24 a.m. When firefighters arrived, they noted heavy fire conditions and controlled the fire for search and rescue. At the scene, firefighters pulled four victims from the home. Police and AMR administered CPR at the scene, but they were unable to revive them. Chief Robinson confirmed that all six people inside the home at the time were killed, calling this the worst tragedy he has seen in the history of the Alcoa Fire Department. Cynthia Sarson is one of the many loved ones learning this unbelievably sad news, "I just flew here. I don't even know how I got here." She says her sister Patricia and brother-in-law David Mishoe lived in the home on Wright Road. They were high school sweethearts. "Patti was my middle sister, there was just a little over a year between us and she was such a kind soul," said Sarson. The Mishoe's daughter, Olivia, and her boyfriend, David Morgan lived in the home as well with their two sons Jaxsen and Aiden. "Two beautiful little boys," said Sarson. Seeing what the fire has done is confusing and heartbreaking. "All kinds of scenarios keep going through my head, just horrible things, and I don't know if we'll ever know what happened," added Sarson. While family members search for answers trying to understand this loss, Sarson asks for prayers, "I don't have the money to take care of their burials. I don't know what to do. I'm just lost and numb and in shock. I don't know where to go. I don't know where to turn." Blount County Sheriff's Arson Department and the Fire Marshall is assisting in the investigation to determine the cause of the fire.